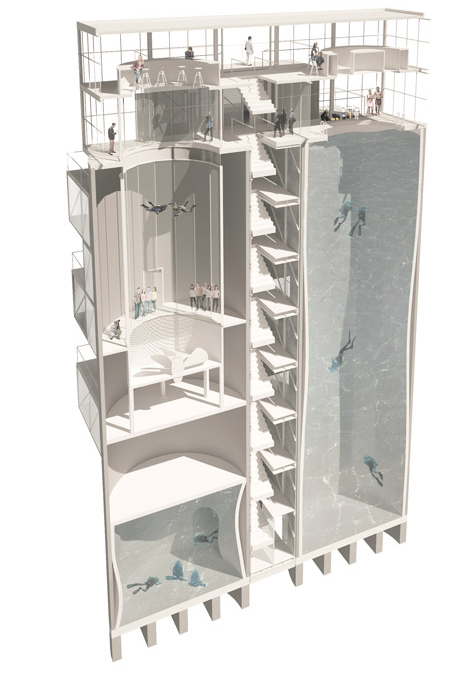 Take your pick between a pair of once-abandoned silos: one lets you explore nearly 100 vertical feet of underwater space with hidden caverns, while the other suspends you in virtual free fall, riding air currents in a cylindrical wind tunnel. 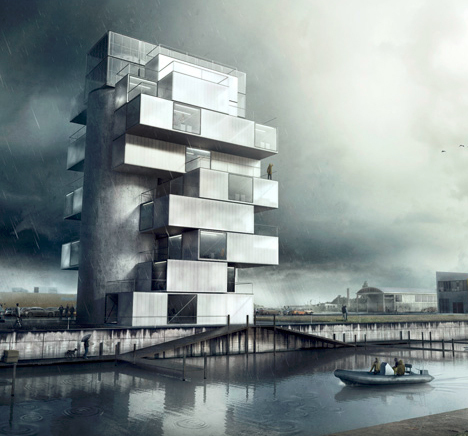 While those two primary volumes form the core experience of this conversion project, a series of shipping containers (stacked ten stories high) surrounding these structures will provide support and circulation spaces. 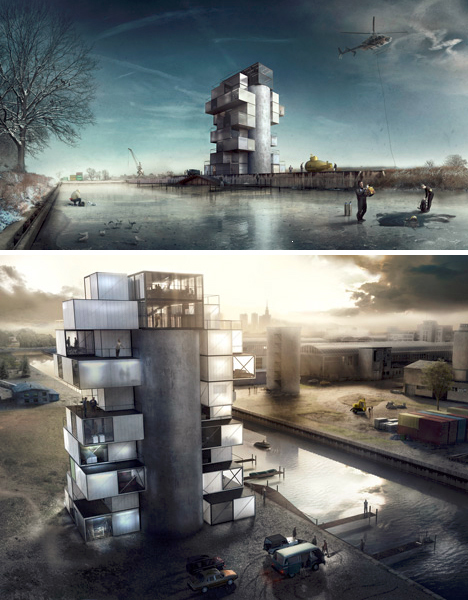 Warsaw studio Moko Architects aims to start construction in just over one year on this ambitious project, set in the city’s industrial district. The modified cargo containers additions are designed to contain offices, shops, a cafe and hostel as well training rooms or sports outfitters for visitors. These stacked attachments will be form a dynamic array and be connected via staircases spanning between the central cylinders. As they slip past one another in space, outdoors decks are formed organically as well on various roof levels within the vertical design configuration.